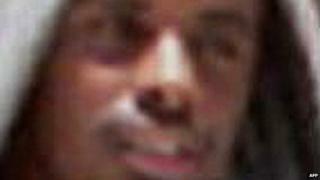 The leader of the Somali Islamist group al-Shabab, Ahmed Abdi Godane, was killed following a US attack earlier this week, the Pentagon has said. The US carried out air strikes on Monday night destroying a vehicle and an encampment south of the capital. Somalia's president issued a statement on Friday urging militants to embrace peace after the death of their leader. Godane was one of the US state department's most wanted men. It had placed a bounty of $7m (£4.2m) on his head. Somali analyst Nuur Mohamud Sheekh told the BBC that Godane's death "will deal a major blow to the group. "It will have an impact in terms of affecting the morale of the fighters on the ground but it is not the end of al-Shabab in the short or medium term." He added there was no likely successor. On Friday, President Hassan Sheikh Mohamed announced a 45-day amnesty for militants who are willing to renounce al-Shabab. Pentagon Press Secretary Rear Adm John Kirby said the military action on 1 September had "led to his [Godane's] death". A statement from the White House press secretary described al-Shabab as the "largest al-Qaeda affiliate in Africa". Godane's death "reflects years of painstaking work by our intelligence, military and law enforcement professionals", the statement said. The al-Shabab leader had publicly claimed the group's responsibility for the deadly Westgate shopping centre attack in September last year, he said. "Under his leadership, the group has claimed responsibility for many bombings - including various types of suicide attacks - in Mogadishu and in central and northern Somalia, typically targeting officials and perceived allies of the Somali government as well as the former transitional federal government of Somalia. "Godane has also continued to oversee plots targeting Westerners, including US persons, in East Africa." The White House said the US would continue to use the tools at its disposal - "financial, diplomatic, intelligence and military" - to address the threat of al-Shabab and to support the Somali government's efforts to "build a secure and stable future for the Somali people". The US attack, using manned and unmanned aircraft, took place about 240km (150 miles) south of Mogadishu on an encampment and convoy of vehicles - believed to have been made up of three lorries and a smaller vehicle. It took place days after the 22,000-strong AU force had launched a major offensive to capture territory from the militants in the Lower Shabelle region.